Product information "TIGI Catwalk Curl Collection Curlesque Defining Serum 90ml"
A fusion of moisture-rich marine botanicals and deep sea extracts define and reshape while calming frizz. A light hold completes your look for curls with illustrious shine. Re-work it: custom-tailored formula with total style recall allows you to re-shape hair back to original style. Use all over as a finishing product or add a drop to any Curlesque styling product for a touch of added shine and softness. 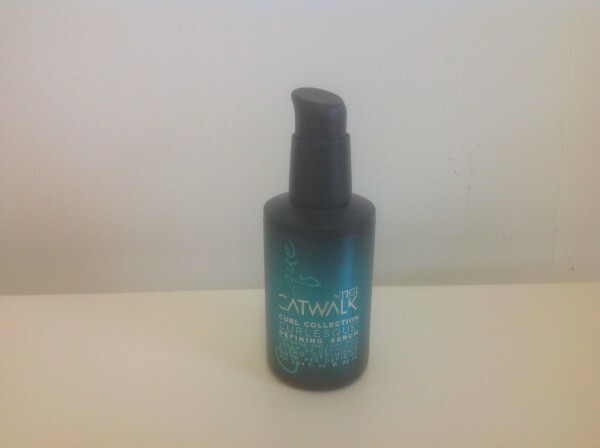 Related links to "TIGI Catwalk Curl Collection Curlesque Defining Serum 90ml"
Customer evaluation for "TIGI Catwalk Curl Collection Curlesque Defining Serum 90ml"